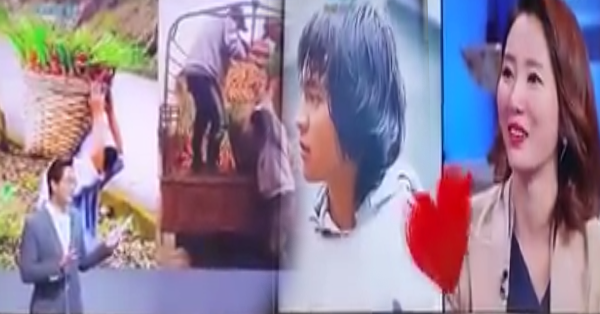 WATCH: Carrot Man Now Reached South Korea! Look at Their Reaction! Recently on local news, this one named Jeyrick Sigmaton was dubbed to be the newest online sensation after his photos immediately spread through social media. the people named him "Carrot Man" because he was carrying a basket of carrots when he was spotted by the photographer who took his picture. Lots of pinoy celebrities wanted to see him because of his very mysterious personality. But now, one of the most famous korean TV channels noticed him and startled after seeing his viral photos. See their cute reactions on this video. KBS1 is the premier channel of the Korean Broadcasting System, previously known as KBS Television/KBS Channel 9 until the launch of KBS2 in 1980, is the oldest TV channel in South Korea and was the successor to HLKZ-TV (or Daehan Bangsong), Korea's first TV channel. It is also the only commercial-free free-to-air television channel in the country. The channel is well known for its news programmes, culture, as well as sports, entertainment and some children's programmes and a minimal amount of education programming.